note to self: before packing for a trip, ask the all-important question: "what would Joan do?" *PSA: the big 25% off sale is now on! my picks: the perfectly essential travel dress, the elegant casual slipons, these chic pearl earrings, and the everyday delicate gold necklace. I couldn't imagine lugging a typewriter through airport security today!! I'm old enough to remember owning one. ha! i actually wonder if she had one of those portable typewriters. it must have been clunky regardless. I have a permanent packing list too because I'm so forgetful. Unfortunately it's not so much stylish things as it is stuff like phone charger, toothbrush, passport, boring stuff that I'm always scrambling for the last minute! Love her shirt she's wearing. Her list is utterly pragmatic, too. 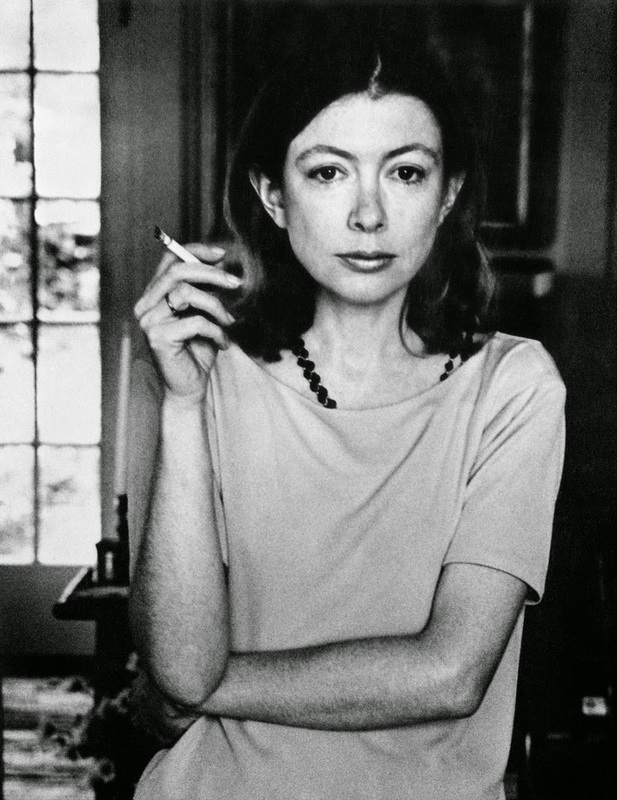 I love Joan Didion and this list. It always makes me feel some wanderlust. I wish I could travel more!